And so it begins. I think I mentioned yesterday that I picked up a copy of Dorie Greenspan’s “Around My French Table”. I have been chomping at the bit to jump into this book. Although I am way too late for French Fridays With Dorie, I am still determined to cook my way through the book. If one thing can be said about Doristas, it’s that we are pretty reliable about choosing to cook and bake things by season. When FFWD first began it was October, and the recipes were chosen accordingly. I am starting in July, so I won’t be cooking in the same order as the group until October rolls around. Actually I may yet decide to just cook in whatever order suits me. While I am not from the south, it seems to be that ribs are a perfect summer food. Do you agree? In fact I don’t think I really cared for ribs until I married a guy from Virginia who loves barbecue, which I am sure many will find as heresy. In reading back on the FFWD posts for this recipe, I was surprised to see how trepidatious many were to make this. I wasn’t. When I saw Cola and Jam I knew exactly how it would turn out… Caramelization up the wazoo, sticky, sweet, and unctuous. Was I wrong? No sir! Between the spices and the jam, and the Coke basting, I recognized similar flavors and textures to traditional barbecue (which I am not a huge fan of), changed to suit my personal preferences. For me this was the perfect middle ground in barbecue for my personal flavor palate, and I would most certainly make this again. My only disappointment was that I read over adding orange juice to the original apricot jam glaze, so I merely added it in to the Coke baste at the end. For me I didn’t notice any problem with doing this – it was still amazingly delicious – but I would have liked to be exact for the first go around. Also, being in the Mountain West we do have access to “Mexican Coke” which is made with cane sugar (and sold in glass bottles!) as opposed to High Fructose Corn Syrup, and would be closer to the European version. Unfortunately all the usual places were sold out, so I had to settle for the regular stuff. Next time! I’d love some company in cooking through this, so if you aren’t already involved in the book, pick one up! It will be fun! This entry was posted in Around My French Table | Dorie Greenspan, Meat and tagged Around My French Table, Barbecue, Dorie Greenspan, Pork. Bookmark the permalink. That looks delicious! Now I want some ribs. These ribs sound and look absolute delicious! What an interesting fact about the Mexican Coke versus the other with High Fructose corn syrup…I’ll keep my eye out for it ..maybe it’s in New York? Maybe. It’s a big thing out here. Look in the bodegas… It is your best chance to find it in NYC I would think. The ribs were as amazing as you would imagine. 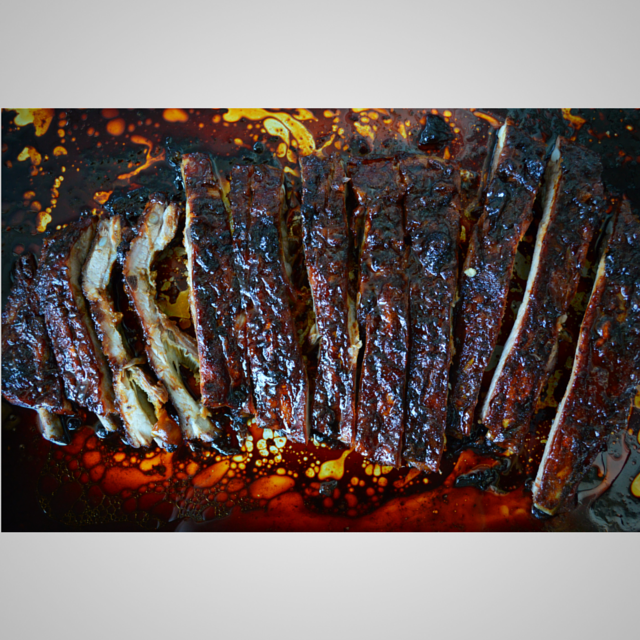 These coca cola ribs were one of our favorites!